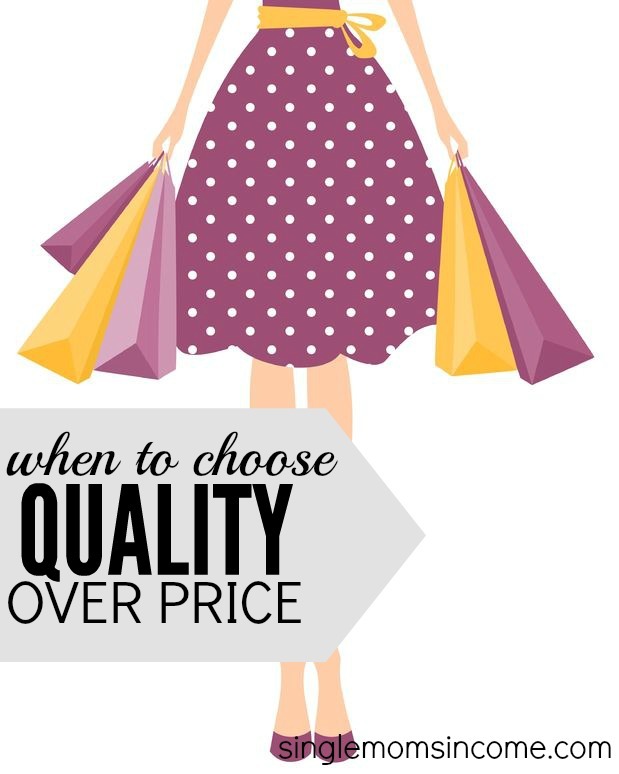 When you’re out shopping and looking to score a deal, are you guilty of considering price first, and then quality? Say you’re in need of a new vacuum. You know Dyson is a good brand, but its vacuums are pretty pricey – perhaps more than you can afford right now. Instead, you decide to go with a vacuum that’s only $50. It will get the job done, you think. Then a year later, the vacuum breaks, and you’re in the market for a new one. Think you might consider the pricier option now? While price doesn’t always indicate quality, there are many times when it does. There are a few people guilty of falling for lower prices to save money in the present, but it’s important to stop and think about how much money you’re spending overall. Being frugal is about saving money when it makes sense. Sometimes, it makes sense to choose quality over price. Let’s talk about why, what items are worth splurging on, and when price doesn’t equal quality. When you purchase something that’s $50 or $100 more than the cheapest alternative, it can be hard to see how you’d be saving money. You need to take your entire purchasing history into consideration to see whether or not you’re saving. This is a slightly exaggerated example, but let’s say you decide to buy very old used cars because they’re cheap. You tend to buy each one for around $3,000, and they only last about a year or so before dying. You keep going on this path, because you think it’s less strain on your wallet. You do this for 5 years, spending a total of $15,000. The point is, cheaper items tend to break sooner and more frequently than quality items. Most of the time, there’s a reason certain brands are well-regarded, and there’s a reason they don’t lower their prices. If you’re replacing things every year (or more), chances are you’re spending more money than you would if you focused on quality. Wouldn’t it be easier to pony up the cash, and not have to deal with the hassle of replacing things? 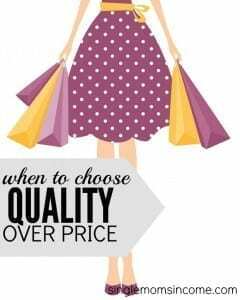 This goes along with saving money, but choosing quality items that are more expensive might make you think twice about buying them. It’s almost like having delayed gratification built into your decision making process. 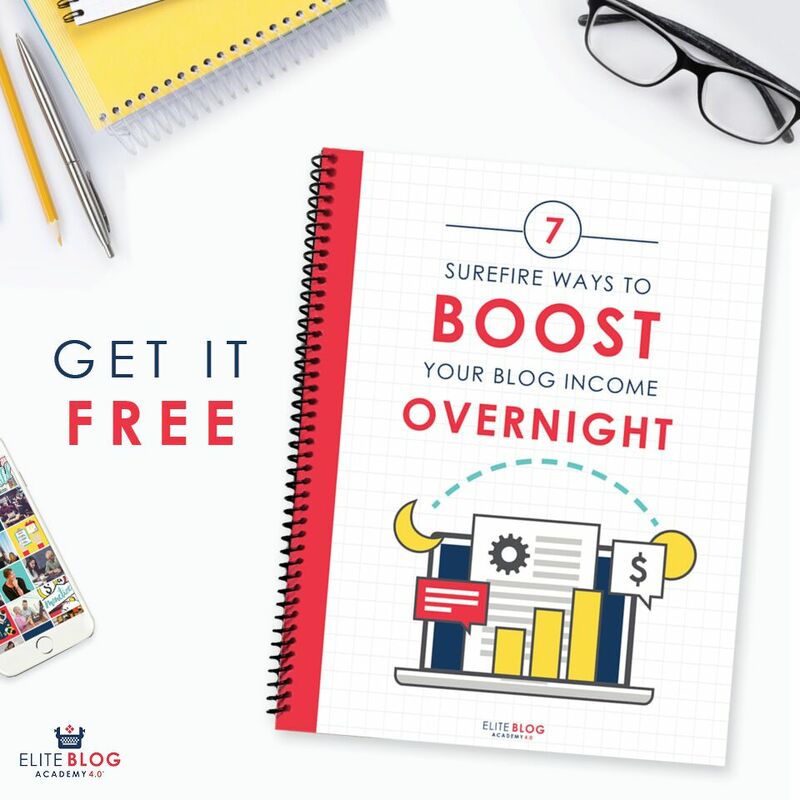 Additionally, since you’re hoping you’ll get a lot of mileage out of your quality purchases, you’ll take more time to do your research. If you’re going to be spending that much money on something, you want to make sure you’re getting something reliable. This can be a great change of pace if you’re someone who tends to buy a lot when there’s a sale going on. Instead of stocking up on 5 of the same cheap shirts when they’re on sale, look for quality shirts from brands that are trusted and dependable. Tired of replacing cheap items? 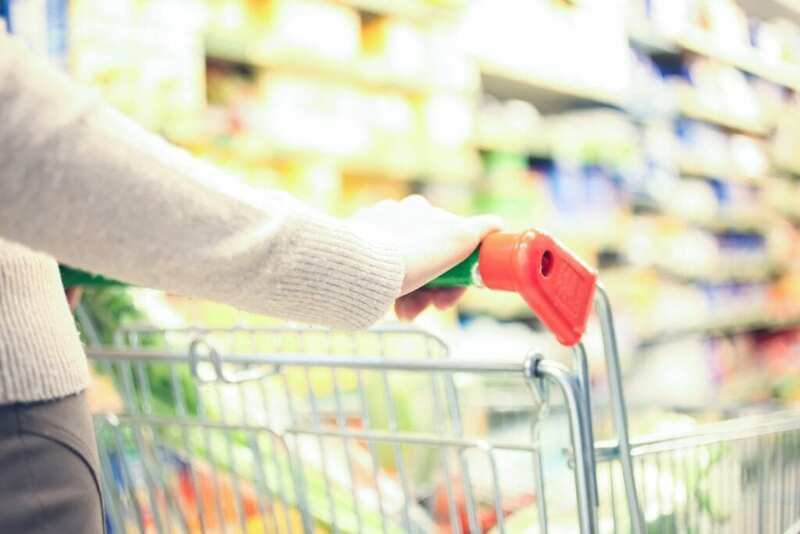 You can start making purchases focused on quality on the following things everyone should think twice about skimping on. Bed: Thankfully, quality mattresses are becoming available at cheaper prices. That being said, it’s always worth it to be comfortable in bed, especially when we spend so much of our time there. You shouldn’t be sacrificing your comfort or health (sleep deprivation isn’t fun) for a cheaper price. Food: Eating healthier in general will save you money over the long haul because your health care costs will be lower in the future. Focus on buying quality whole foods (not necessarily organic, though). Shoes: Similar to a bed, you don’t want to sacrifice comfort when it comes to what you wear on your feet on a regular basis. This is especially true if you exercise or run, as having proper shoes on will lessen the chance of injury. Clothing: Clothes are something many of us own a lot of, so it makes sense to invest in a classic, quality wardrobe that will withstand washing and wear. The less you have to update it, the better. Car: You don’t have to buy a brand new car. Buy a used car from a reliable manufacturer. Buying a car that won’t have many issues and will last you several years is worth it. Another thing to keep in mind when choosing quality items is cost per use. Buying a quality item is worth it if you’re planning on using it a bunch, but not so much when you’ll only use it once or twice. Of course, there are always exceptions to the rule. There are a few times when price isn’t a clear indicator of the quality you’re getting, and further research is required. It’s important to look beyond price and not simply assume that something more expensive is better. One example? Education. Does it pay to go to an ivy league school when you’re planning on majoring in something they don’t specialize in? Probably not. The prestige of a school doesn’t matter if its program for your major is lacking. A cheaper school that’s known for your field of study will be worth more. Another example is housing. My current apartment seemed gorgeous when I first saw it, and it had a price tag to match the granite countertops. Thankfully, the complex had a great deal going on, so I ended up paying hundreds less than the regular price. However, it’s been a year since I moved in, and I’ve had a slew of problems with just about everything. Overall, the construction was shoddy, and it’s easy to tell they cut corners. The same can be said for a house. Just because something looks quality and is priced high, doesn’t mean it’s problem-free. Always do your research. Don’t fall for high-end brands unless they’re actually known for producing quality products. If you’re having trouble figuring out how to afford quality items, try replacing things only when they break. This way, you’ll still get use out of the items you already have, and you can save up for quality purchases in the meantime. Hopefully this gives you some food for thought on making quality purchases in the future. It always pays to do your research to make sure you’re spending your money wisely. Erin M. is a staff writer at EverythingFinanceBlog.com. Follow us on Twitter, Facebook, and Pinterest. Price and quality share a direct relationship.It ain’t necessary that higher the price better the quality. this is another great article. I’ve definitely had to buy something more than once because I didn’t buy for quality. Won’t make that mistake again. Now I try to buy it for life. And also, great point that a higher price doesn’t always indicate higher quality!